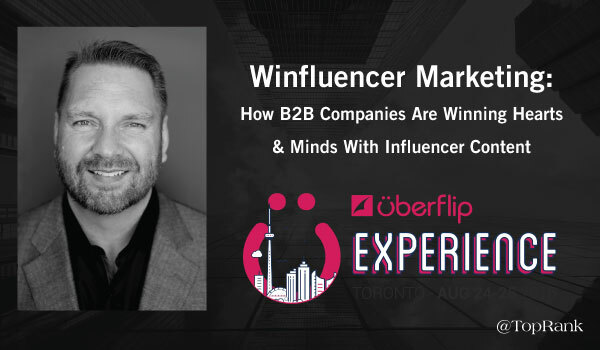 TopRank Marketing CEO and digital marketing conference globetrotter Lee Odden will soon be touching down in Toronto, Canada to take part in The Uberflip Experience 2016 content marketing event Aug. 24-25, 2016. Lee was selected as one of only a few speakers to kick off Uberflip’s exciting new conference. What is The Uberflip Experience 2016? The Uberflip Experience 2016 event aims to connect content marketers with the best and brightest minds in the industry to not only talk “everything content,” but also help marketers take their efforts to the next level. In addition to Lee Odden, the event has an impressive lineup of speakers that includes MarketingProfs Chief Content Officer Ann Handley, Marketo’s Sr. Director, Business Development Andy Choi, and Contently Lead Data Scientist Anela Chan. 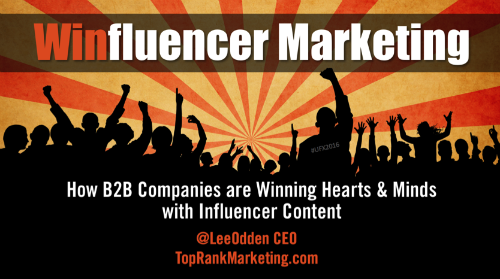 Lee Odden will take the floor during a morning session on the second day of the event to talk influencer marketing strategy, tools and tactics. Session Description: Word of mouth is still the most powerful form of advertising and recommendations from friends, peers and experts hold valuable influence in the mind of business buyers. Losing business to content overload, disappearing organic social visibility and the effects of ad blocking, B2B marketers are looking for better ways to attract, engage and convert new business. This presentation will provide the strategy, tools, and tactics for developing an integrated influencer content program that will put points on your ROI scoreboard. Get more The Uberflip Experience 2016 event info. Unable to Attend The Uberflip Experience 2016? You can follow our coverage of the event on TopRankBlog.com and on Twitter at @TopRank, @leeodden and @azeckman.